The thought of going to court for the first time may be daunting. You may have no criminal record, just got a DUI, and are worried about going to jail. The Holley Criminal Defense DUI team is here to help you understand the court process in Sacramento and hopefully put your mind at ease. Most clients are pulled over by the Sacramento Police, Sacramento County Sheriffs, or the California Highway Patrol (CHP). Like other arrests, the police must have probable cause to arrest you for a Sacramento DUI. More on probable cause later. What makes a arrest DUI in Sacramento different? The officer does not need probable cause of an actual DUI to pull you over. Any traffic infraction (i.e. you forgot to use your turn signal) is enough to pull the car over. Once the officer speaks with you, he or she might notice the smell of alcohol or slurred speech. This suspicion is usually combined with an on-scene investigation in which the officer uses a breathalyzer, field sobriety tests, and other questions to gain enough evidence to have probable cause to arrest. Our Sacramento DUI Attorney and DWI Lawyer in Sacramento always examine the initial arrest to see if the officer had adequate probable cause to make the arrest. Sacramento Police, Sacramento County Sheriffs, and the California Highway Patrol are all trained on how conduct DUI investigations. Unlike other crimes, the preservation of evidence in a timely matter is critical. The first signs of driving impairment are usually: swerving between lanes, slurred speech, delayed motor skills, watery red eyes, and odor of alcohol. Based on the officer’s suspicion of one or more of the above signs of impairment, the officer will ask you to perform a field sobriety test (FST) at the scene. One of these tests is known as the Preliminary Alcohol Screening Device (PAS) breathalyzer. If you are arrested for a DUI you probably failed one or more of the above tests. The officer should provide you with a DMV Administrative Per Se Hearing Form. The problem is, many times amidst the adrenaline and confusion surrounding an arrest, this form is unfortunately often overlooked. More on DUI Administrative hearing here. There is much confusion surrounding what you should and should not during the investigation phase of a DUI case. Check out our Sacramento DUI Myth Busters article here for more information. You may have heard rumors of the infamous Sacramento Drunk Tank. Some of which might even be true. It is not uncommon for a person arrested for a DUI to be carted on in the back of a patrol car to a drunk tank. This is a room often with other inmates that are sobering up with you. Good news is that your time in jail or the drunk tank will count toward your ultimate sentence after your case is over. After the officers complete their investigation, collect evidence, and interview witnesses if possible, they write a police report. This report will contain the results of a breathalyzer, observations from FSTs and the PAS tests. Since the officers would like to see you prosecuted, they try and stack the report with as much incriminating “damaging” evidence as possible. If you made any admissions to the officer about how much you drank etc. you better bet that it will appear in this police report. The two most common charges that the officers recommend that you be prosecuted with are violations of Vehicle Code 23152(a) and Vehicle Code 23152(b). I know what you are thinking, how can the DMV suspend my license if I am innocent until proven guilty? Well the short answer is that they can. The Sacramento DMV is a separate, and independent government institution from the justice system. What does that mean for you? The DMV only needs a lower burden of proof (ie less evidence) to suspend your driving license. That means you can be found not guilty in the Sacramento Superior Court and the DMV can still suspend your driving license. You will generally have to schedule a DMV administrative hearing to also fight your case with the DMV. Don’t worry, out Sacramento DUI Lawyer and DWI attorney in Sacramento are here to help. We appear with you at the DMV office and argue for you to keep your driving license. A DMV Hearing must be set within 10 days of a DUI arrest. Failure to do so could result in an automatic suspension of your driving license. Either call DMV right now or call our law office to schedule a DMV administrative hearing for you. Often you are assigned to Department 2 of the Sacramento Superior Court. This will be your home court for the preliminary stages of your DUI Defense. An arraignment is your initial appearance before a judge. This first court appearance can be a tad nerve-racking for the faint of heart. The judge often speaks quickly calling DUI case after DUI case. If you are not represented by an attorney at this time, the judge will call your name and you approach the podium. The judge then asks if you would like to accept the offer, hire an attorney, or be appointed a public defender. If you were skimming this article before SLOW DOWN! This is important stuff. The Holley Criminal Defense Law Offices fully recommends consulting with a local DUI attorney in Sacramento before deciding to accept an offer. Even if you think you were caught “red handed” there might be a solid defense to your case, hard to see by an untrained eye. That is where our DUI Lawyers come in. Whether you choose to accept the offer or consult an attorney, make your decision wisely. You may qualify for a public defender if you make less than $2,200 a month. These are often very good and qualified attorneys but they do have a lot of cases all at the same time. If you hire a private defense attorney prior to the arraignment, the attorney can make the appearance with you. In addition, in misdemeanor cases, our Sacramento DUI attorney can make every other court appearance for you without you even needing to show up to court! That’s right if you hire us, we can take care of the rest. If you do not hire an attorney or choose to represent yourself, you will need to be present for every court appearance. At your DUI arraignment on a misdemeanor charge, you will likely be handed a copy of a document called a “Complaint”. A “Complaint” is a charging document written by the District Attorney’s Office “DA” that states what you are charged with and any additional enhancements such has high BAC. The Complaint is not set in stone. In fact, the DA can add or modify charges up to one year, or any time before a jury is sworn in. In most counties, such as El Dorado, Placer, Yolo, the judge will ask you at your arraignment “how do you plead?” The options are not guilty, no contest, or guilty. For purposes of this article, no contest and guilty mean the same thing. Sacramento normally does not require you to enter a plea at this first court appearance. If you plead not guilty the case is continued to another court date, often about one month later. Your next court appearance is called a pre-trial conference. CAUTION (it is possible that you will be taken into custody at the arraignment)– It is possible for the DA to ask for, and Judge to order you to post bail. Generally, after you are arrested and taken to jail you either must pay bail to get out or you are simply released without bail. If you are released without having to post bail it is not uncommon, especially for a multiple DUI offender to be required to post bail at a DUI arraignment. If bail is an issue the judge can choose to rule on a bail hearing right then and there or can wait up to two days to hear the bail hearing. This is where having an experienced Sacramento DUI attorney is so important. A Sacramento drunk driving lawyer can use their knowledge, skill, and expertise to argue a bail motion. The gist being that 1. you are not a harm to society nor 2. a flight risk, therefore, you should not be taken into custody and released on your own recognizance (OR). If you win the bail motion you will walk out of the courtroom a free person until your case is disposed of. However, if you lose the bail motion, you can be taken into custody by the court bailiff and booked into the Sacramento County Jail. If you think that bail might be an issue at the arraignment, it is important to contact a Drunk Driving attorney immediately. We generally advise you to have a bail bonds person present if this is the case. This court appearance is the “checking in phase” of your DUI case in Sacramento. Generally, defense counsel will check in with the DA and see if there is any additional discovery. Defense also updates the judge on where we are at in the case. We also use this time to calendar any pre-trial motions and negotiate with the DA regarding your case. The Holley Defense Team prides itself on being extremely proactive on all our DUI cases. This means we often e-mail and call the prosecutor before the hearing to get updates and talk about your case. Our negotiations are strategic and labor intensive. How we negotiate completely depends on the case but always starts with an in-depth and critical review of all the evidence in your case. I call this the break down/build up portion of a Sacramento DUI case. We break down every part of your DUI including but not limited to the arrest, admissions, BAC, calibration of instruments, preservation of evidence, witness credibility, and even visit the scene of the DUI. After breaking down the case, our Sacramento DWI lawyers can see the weaknesses and strengths of your case. Now comes the build-up period. We may strategically share with the prosecutors the weakness of their case to get the case either completely dismissed or get a lesser charge. However, some cases a just ripe for trial. If this is the case, we set the case for trial at the pre-trial conference. The parties agree on a trial date, and we get to work calling experts and prepping for the upcoming jury trial. Buckle-in because this phase of a DUI case can take a while. Often ordering police camera dash camera evidence and other evidence gathering is a lengthy process. Pretrial motions are an important part of fighting a DUI case. The biggest misconception I have seen regarding DUI cases is that they are black and white. You are drunk or you are not. Case closed. This is simply not the case. 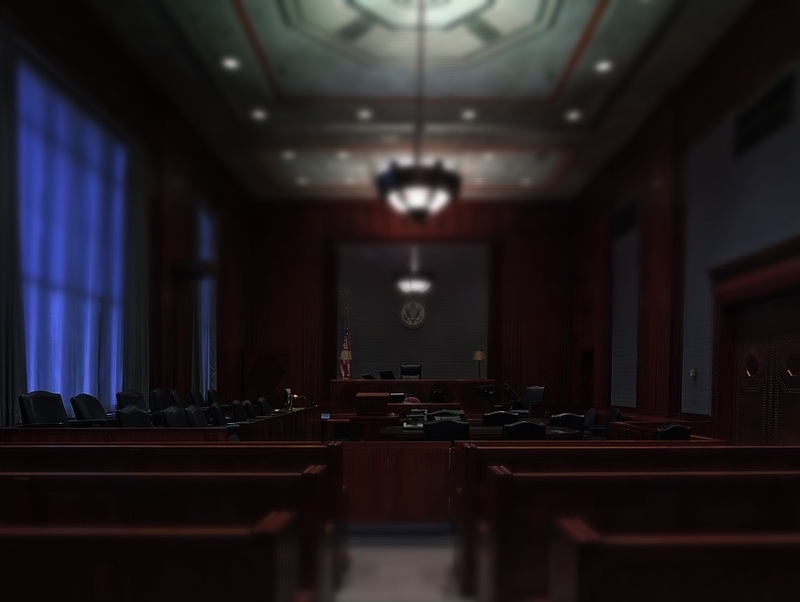 While not all cases are suitable for pre-trial motions, these motions can lead to a full case dismissal before a trial even occurs. The Holley Criminal Defense Team has successfully argued pre-trial motions leading to dismissal of all DUI Charges. Please see the DUI Defenses tab for in-depth information on DUI Pre-Trial Motions. The following list of motions is in no way exhaustive, or else you would fall asleep. But is does provide a broad overview of pre-trial motion practice in Sacramento County and surrounding areas. In short, you may be entitled to the employment files of the officers involved in your case. If that officer has a prior history of fabricating evidence, using excessive force, or any wrongdoing, it might be relevant to your case and your defense. Most of the successful pre-trial motions we have seen over the years fall into this category. We have constitutional rights for a reason. That reason is to protect ourselves from the government (ie officers) from over reaching and unnecessarily intruding themselves into our lives. You may recall from grade school the 4th Amendment. Basically, you have a right to be free from an unlawful search and seizure. If the officers did violate this right, you can ask the court to suppress any and all evidence that was derived from the illegal search or seizure. For example, if the police did not have probable cause to arrest you, and an all evidence derived from the illegal arrest can be suppressed. Suppressed in this sense means that it cannot be heard in court or a trial. As discussed above, there are several investigation tests used by officers to determine if you were under the influence of drugs or alcohol while driving a motor vehicle. If the facts permit, you may be able to exclude a particular test from being presented to the jury. These are highly technical motions based on how the test was performed and other issues such as calibration of the alcohol detecting instruments. Additionally, it may be abundantly clear that a test was performed incorrectly or against protocol. These motions can mean the difference between winning and losing trials because certain evidence may be kept out of the courtroom. Having a prior conviction can severely increase your sentence. However, the prior must be constitutional. A prosecutor may try and introduce a prior that is not only old but also irrelevant to a DUI case. In these situations, you can drastically decrease your potential sentence if you can keep out the fact that you have priors. This motion is strategically used when the only evidence that an officer has on a person is that person’s own words. Have you watched lawyer shows on TV? Heard dramatic music behind the lawyer as he gives a powerful closing argument? Well, in the real-world trials are quite a bit different. In a misdemeanor case, you have a right to have your case heard with before a jury (12 strangers) or the judge. Your lawyer will advise you on which to choose. Our Criminal Law Offices have successfully won numerous DUI trials before juries. Therefore, it is very rare that we recommend a bench trial where only the judge hears the case. For a jury to reach a verdict they must be unanimous. That is, they all must agree you are guilty for you to be found guilty. What if one person disagrees you ask? Then the jury is called a “hung jury.” A hung jury is a jury that could not reach a unanimous verdict. No, that does not mean that you won the trial… but it might. The DA can retry the case again in front of a different jury. However, in our experience, DAs generally will not retry the case or make a better offer after the there is a hung jury. Please note that you have a constitutional right to a “speedy trial.” While it is not usually recommended to rush a case before there has been time for adequate preparation, sometimes this is strategically beneficial. In California, you have a right to have a jury sworn in within 30 days of an arraignment if you are behind bars and 45 days if you are out of custody. Selecting the right attorney to represent you in especially critical in this stage of your defense. Skilled trial attorneys know the ins and outs of jury practice. This is more of an art than a science. Seasoned trial attorneys select the best jurors, are quick on their feet, and deliver powerful arguments. They must be able to cross examine the officers and witnesses and strategically challenge the very foundation of the prosecutor’s argument. The Holley Defense Team truly shines in this arena. 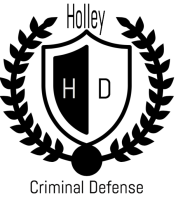 With over 45 years of jury trial practice from DUI to murder trials, there is very little that Holley Defense has not encountered. If anything, this brief description of the DUI court process should reveal that defending DUI cases is complex, involved, and often time consuming. DUIs can have catastrophic effects on your career and finances. Therefore, is always recommended to contact a Sacramento DUI lawyer and DWI Attorney in Sacramento to help you navigate the unruly waters of DUI Defense. Call us now for a free case evaluation (916) 956-2876.